Coming up with something for the favors was really tricky. I didn't want to spend more than $2 per favor, but I still wanted something that reflected our Legend of Zelda theme. I had found a cute set of little tea light lanterns that I almost bought, which remind me of the magic lantern from Zelda. But couldn't find them at a price within my budget. 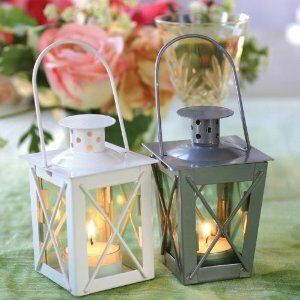 Note: Some places will advertise a lower price like $1.50 per lantern, but jack up the shipping price. But what I found instead was much better. I found these cute round clear cork top glass bottles at only $0.50 each from save-on-crafts.com. 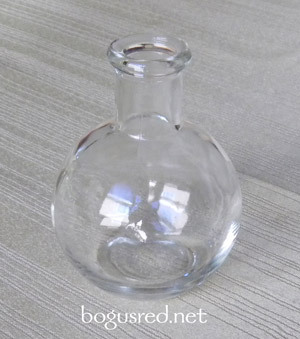 These remind me of the potion bottles Link uses to replenish his health. My thought was to fill them with colored candy, something similar to nerds. Guests can enjoy the candy, then reuse the bottle as a vase for flowers or something. A few notes if you do order these bottles, you'll need to ensure none of them are flawed, broken, or chipped. They also were rather dirty and dusty. I ran all the bottles through the dishwasher and soaked the corks in soapy water and air dried them. More to come on the candy and decoration of these favors in a later post. Being a web designer, there was no doubt that Mike and I would have our very own wedding website. 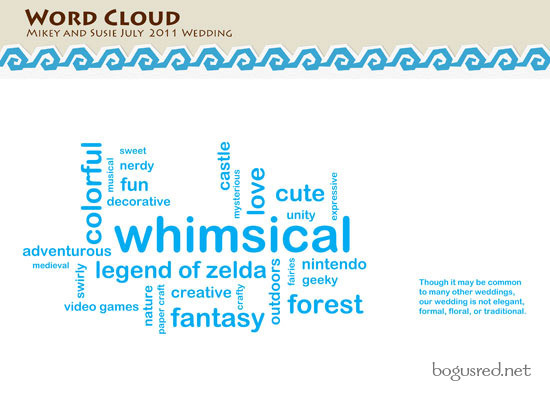 You can visit it at ZeldaWedding.com (I was surprised no one else snagged this domain). 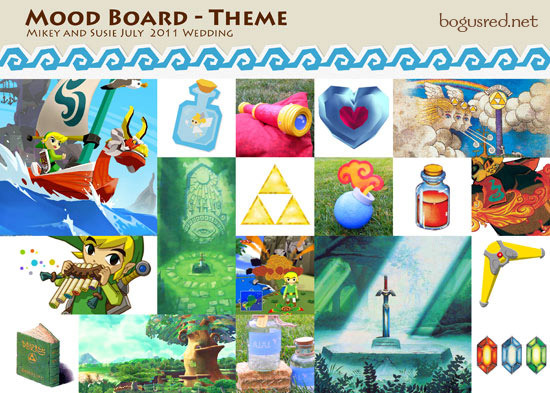 The design draws a lot of elements from the Legend of Zelda: The Wind Waker game interface. I loved the papery texture and brightly colored elements that were used and tried to recreate that in the design. 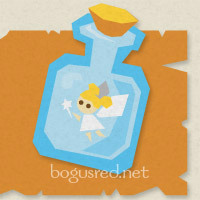 One of my favorite elements of the design is this cute little fairy stuck in a bottle. I drew the shapes to be angular so it has more of a paper cut feel. We included the URL to our website with our invitations so guests could visit and see our registry info. It's not proper etiquette to include your registry information in your invitations but it is ok to include a link to a wedding website. 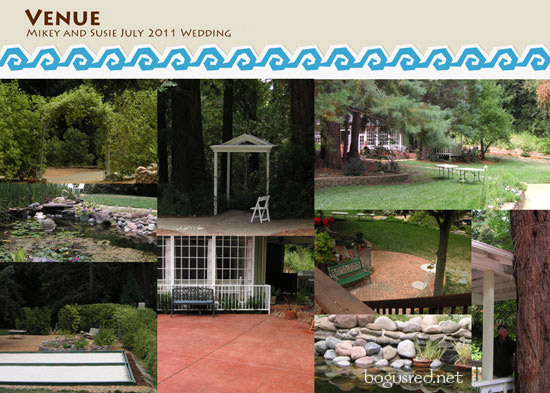 We also included a slide show of our engagement photos there as well as any updates that our guests need to know about. We'll be updating the site continually over the next couple months. Be sure to check it out. Mike and I had planned to get married in 2010. But with all of the family stuff going on, we decided to push it out a year to 2011. Thankfully we made the decision 7 months before the original wedding date and all of our vendors were very accommodating. But now we're less than a month away from the big day and I thought it was due time to start sharing. 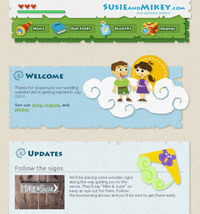 In order to best communicate our theme to our vendors, I put together a document for it, sort of like a creative brief. Here are a few pages from it. This page has a variety of images from Legend of Zelda and gives people a sense of what the game is about and the spirit of what we're going for. Many of our vendors were unfamiliar with our venue, so we provided some pictures to give a sense of what the place is like; outdoors and woodsy. Every wedding is different. Some are a formal and elegant affair, while others are more laid back. It was important to me that our vendors understood that this was meant to be a light hearted, colorful, and whimsical event. A word cloud is a simple way to communicate this. 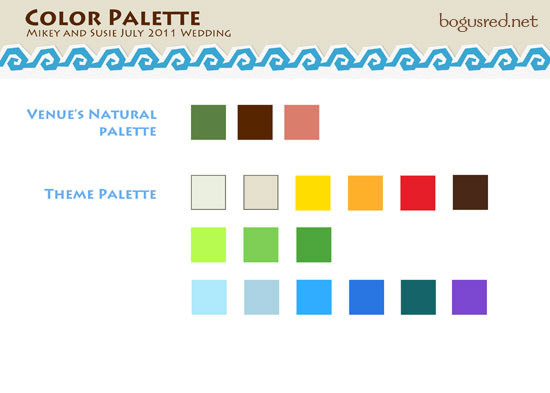 Most weddings usually have one, maybe two colors that are used. But I wanted it to be clear to our vendors that we are using the full rainbow of colors. These are all colors that I thought felt most like The Wind Waker. I didn't stick strictly to these colors because it's difficult to get exact matches of fabrics, etc, but I did use it as a starting point.